Budget Stem Shift Upgrade Brings Smiles! My hobby is rescuing vintage road bikes that mainly need some low tech TLC (new cables, new chain, new tires, big clean & shine). My '95 Klein Quantum II has Ultegra brifters, '97 LeMond Buenos Aires has 105's, but my '83 Klein Performance came with friction stem shifters. I really wanted to enjoy riding the KP more often as it has the best "touring" geometry. To accomplish my goal, I knew I needed to improve hand comfort in the hoods and move to indexed shifting. These Shimano Tourneys hit the mark in a big way. They had the newer style hoods over vintage 7-speed brifters, they were brand new, and they can be purchased at well under $100 for excellent value. 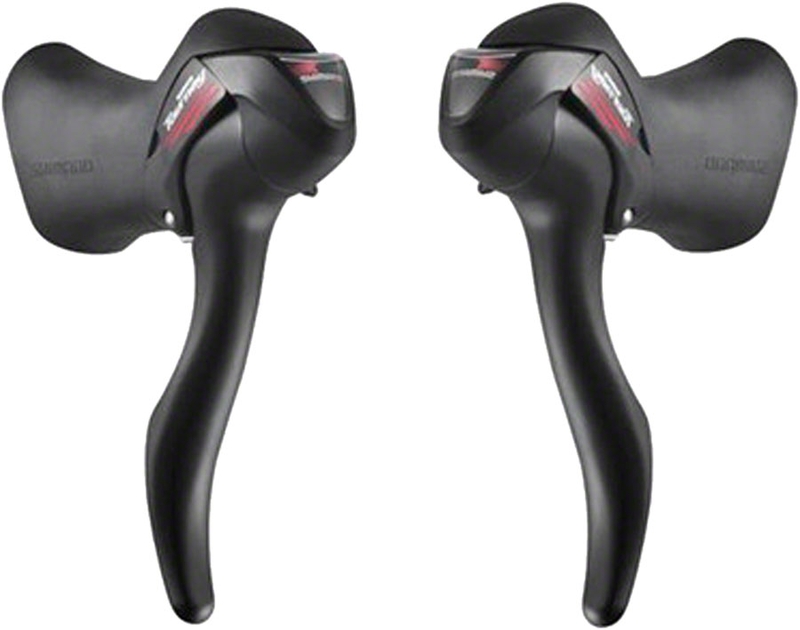 It is so minor that it's almost not worth mentioning, but these Tourney's are similar to Shimano Sora in that there is a thumb release rather than a dual action shift lever. 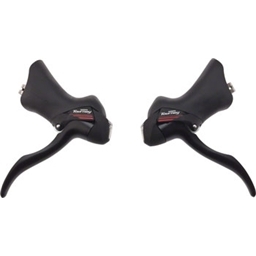 It only takes a few minutes in the saddle to get your muscle memory back if you are only used to dual-action levers. As I stated, I used the Shimano Tourneys as an easy upgrade from stem shifters, but it would be almost as easy to perform this upgrade from down-tube shifters. You may need to purchase an after market down-tube cable stop, but those are very inexpensive and easy to install. If you were already thinking about performing a cable housing and cable replacement, the Tourney's come with these in the kit!! Obviously the price is the best part; but they seem durable as well, though I've only had them on for a few weeks so I can't speak about their life-potential; but from the look and feel of them, I don't see why they won't last a good long while. Wasn't too hard of a set up either, if you don't mind fiddling with stuff, though don't expect any help from the "user manual" that comes with it. Sorta big and clunky. They feel a little awkward on my 46mm handlebars; I would recommend putting them on something a bit wider myself. But it's not so bad that I'm going to buy different handlebars and redo all the bar tape and what-not. I ordered about $200 worth of product from Modern Bike for my first real bike build and I've been really happy with pretty much all of it. I had some problems with setting up the brakes, but I called the guys at Modern Bike and they helped me out – excellent customer service. If you're looking to buy from a quality store I highly recommend Modern Bike. 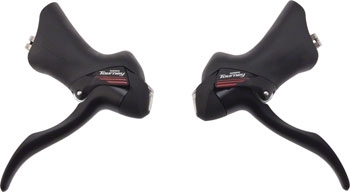 Double or Triple refers to the crankset. A double has two rings. A triple has three.